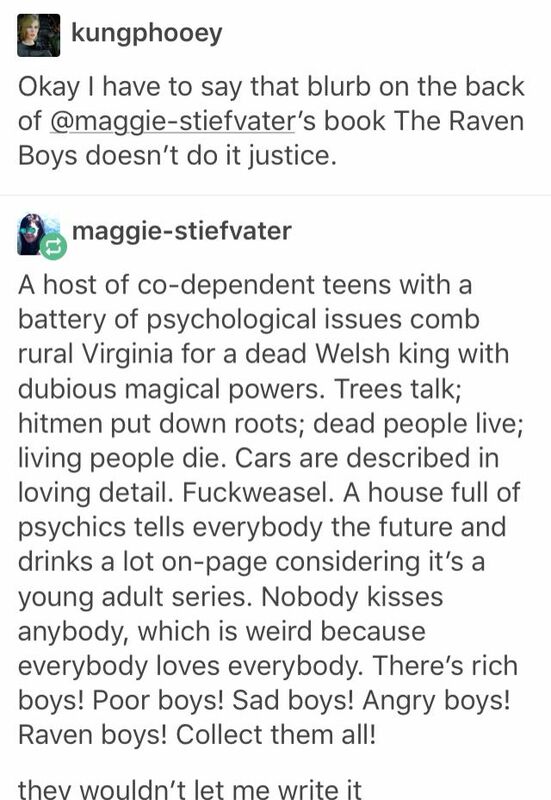 If you’ve been anywhere near Tumblr, you have probably encountered the always growing fandom for Maggie Stiefvater’s young adult fantasy series The Raven Cycle. Particularly in the weeks leading up to the release date (today!) of The Raven King, the last book in the series, the originally small fandom has grown astronomically. Still confused? But really intrigued? Let’s see if we can look at a few of the many components that really get to the heart of why so many readers are so passionate about this series. Unlike the British mythology of King Arthur, there aren’t too many fantasy novels out there about the Welsh king Owen Glendower. There’s a freshness to these legends of sleeping kings that makes your average reader willingly and eagerly suspend their disbelief when Richard Campbell Gansey lays out all facts that argue that Glendower was buried in rural Virginia. As Gansey, Blue and the other raven boys discover, “that there was such a thing as magic in the world” and readers are with them every step of the way. Though Blue Sargent is not a psychic herself she lives in a house filled with clairvoyant women who support themselves by doing tarot readings for the locals, and sometimes mess around with rituals in their free time. Not only does a very specific prophesy loom large throughout the series, “If Blue were to kiss her true love, he would die”, themes of fate, the past, the future, and whether any of the above are controllable, motivate and drive every character. 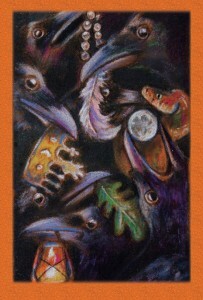 For fans looking to try their hand at reading tarot Stiefvater painted her own version of the tarot which was nominated for best deck/best illustrator by the International Tarot Foundation. Categorizing young adult fantasy is tricky. In terms of readers’ advisory you can’t stop at “fantasy” and really find readers what they want. In generally accepted terms The Raven Cycle might be considered “urban fantasy” since in is set in the present with fantastical elements and relies heavily on a sense of place. The setting of The Raven Boys is the opposite of urban as it takes place in the fictionalized small town of Henrietta, Virginia. Steifvater lives in a similarly small town in the Shenandoah Valley region of Virginia and her deep love of the region is palpable in the loving detail she uses to craft her setting. It also allows her comment on issues of old Southern wealth and rural poverty through her characters. 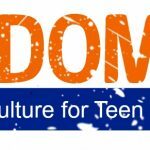 The conflicting feelings of loving home and a claustrophobic need to get out and find something bigger and better can be highly relatable for teens, especially in a genre like fantasy that often takes place in both fictional and actual cities instead of small towns. 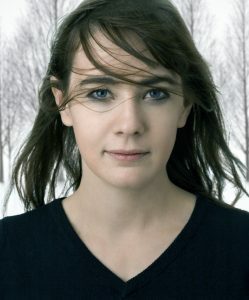 Maggie Stiefvater. Photo by Robert Severi. The fast growth of The Raven Cycle fandom may be due in part to Stiefvater’s very active Tumblr, Twitter, Instagram, Facebook Page, and Sound Cloud. 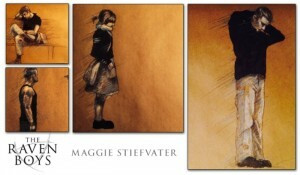 Before Steifvater was a writer she was a visual artist and still makes art for her own books. As an incentive to pre-order books from her favorite small bookstore, she paints bookplates specifically for the books purchased from The Fountain Bookstore in Virginia. She also writes music (typically a mix of traditional Celtic instruments) to accompany her books as well as compiling playlists inspired by her characters. Her ask box on Tumblr is perpetually full and she consistently answers questions from her fans about everything from The Raven Cycle to writing, to leaving home for college. Much of the excitement surrounding the release of the final book comes from her constant hinting about two of the most loved ships within the fandom becoming canon, and her promising, amidst shouts of dread and dismay from the fandom, that Richard Campbell Gansey will die at the end of the series, as was prophesied in the first book. This kind of engagement with her young fandom is not without it’s problems. She has put a moratorium on answering questions about certain characters, and has had to establish boundaries pertaining to fan works containing adult content. 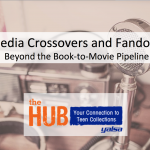 These kinds of issues surrounding authors and social media are a potential topic for discussion if you serve teens in this fandom. The outpouring of fan works for such a relatively small and new series has been incredible. 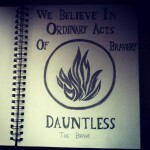 For just a few examples see the winners of the contest that Stiefvater sponsored. 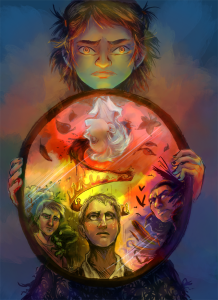 Much of the fan art for the series depicts fan’s head canons that cast many of the main characters as people of color to the point that Stiefvater has been asked if this is actual canon. She’s quick to credit the fandom and not herself for this. Due mostly to the popularity of the two main ships in the series: “Bluesey” (Blue Sargent/Richard Campbell Gansey) and “Pynch” (Adam Parrish/Ronan Lynch) The Raven Cycle fandom has created a huge amount of fanfic. 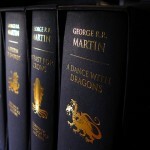 Check out the nearly 2,000 works on Archive of Our Own, but mind the authors’ ratings (G is for “gen” which typically means no sexual content and E is for “explicit” which speaks for itself) and tags to make sure you find what you want and avoid what you don’t want (remember some people already have copies of The Raven King so you’ll want to check for spoilers!). If you haven’t already taken the plunge into this truly unique and engrossing series and all the fan works it created it’s a great time to dive in since there’s no more waiting for the next installment. For long time fans, happy release day!